On the 12th of March 2019 at 11.30-12.30, illustrator Ulla Saar participates in the seminar „Rising Stars: Children‘s Authors and Illustrators from the Baltics“ with Monika Vaicenavičienė (Lithuania) and Elīna Brasliņa (Latvia). The event, moderated by Dylan Calder, takes place in Children’s Hub. 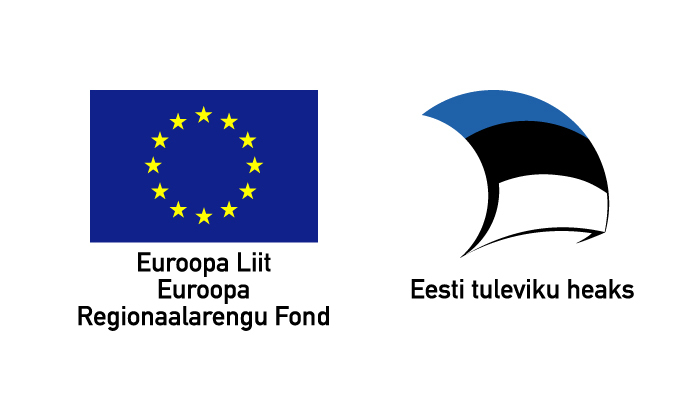 Following the successful Baltic Countries Market Focus programme in 2018, the Baltic countries continue to introduce exciting new children‘s authors and illustrators to the UK children‘s publishing market. This panel discussion aims to celebrate three rising stars from the Baltics, who have recently been published and awarded in the United Kingdom. They are: Monika Vaicenavičienė (Lithuania), winner of the Best Picture Book – New Talent and Overall New Talent at the World Illustration Awards 2018 for her book What is a River? ; Elīna Brasliņa (Latvia), with two illustrated books – Moon Juice by Kate Wakeling and The Dog Who Found Sorrow by Rūta Briede; and Ulla Saar (Estonia), with her book Everyone’s the Smartest (written by Contra). Ulla Saar (1975) is one of the most celebrated Estonian illustrators today. She graduated from the Estonian Academy of Arts in product design and is currently working as a designer. Her first illustrated book, Lift (2013), won several awards in Estonia and was listed in the 2014 White Ravens catalogue. Since then, her work has won yearly awards from the Best Designed Estonian (Children’s) Books competitions and received widespread international recognition. She has participated in several international literary festivals and her books have been published in English, German, Italian, and Lithuanian. In 2018 and 2019, the illustrator was nominated for the 2018 and 2019 Astrid Lindgren Memorial Award. This autumn, British readers can enjoy a piece of Saar’s illustration work in Huw Lewis-Jones’s book The Writer’s Map by Thames & Hudson (2019). Monika Vaicenavičienė is an award-winning illustrator and picture book author.In Monika’s picture books, personal memories, legends, and real stories meet, creating poetic documentary narratives about interconnectedness and wonders of our world. Illustrations from her picture books have been shortlisted at Bologna and Shanghai children’s book fairs as well as other international illustration competitions. In 2018, Monika won Children’s Books and Overall New Talent categories at the World Illustrations Awards and Publisher’s Choice Award at China International Book Fair in Shanghai with her newest book “What Is a River?”, which is to appear in 2019 with editions around the world in different languages. After completing her studies at Vilnius Academy of Arts and Stockholm Konstfack University of Arts, Crafts and Design, Monika now lives and works in Vilnius, Lithuania. Elīna Brasliņa (1988) is an illustrator from Latvia. She has illustrated about twenty titles so far, most of them children’s books and young adult novels by Latvian authors. She is best known for her collaboration with Luīze Pastore on the “Art Detectives” series. Elīna’s work has been nominated for local awards, and she has twice received the Zelta Ābele Award for Book Design (2014, 2015), as well as the Jānis Baltvilks Baltic Sea Region Award (2017). She made her international debut by illustrating Kate Wakeling’s collection of poems, “Moon Juice”, published by “The Emma Press” (UK). Books illustrated by Elīna have been published in the UK, Ireland, France, Spain, Belgium, Croatia and the Czech Republic. 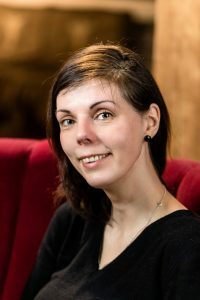 She was also the production designer for a feature length animation film with the Latvian studio “Atom Art”, entitled “Jacob, Mimmi and the Talking Dogs” that came out in February 2019.